Once upon a time in a far away land, an American heiress named Mary Wallace Shillito lost her beloved sister. In her grief she wandered the world until she came to the Salève mountains of France where she fell in love with the exquisite view. She vowed to build a sanctuary there and dedicate it to her sister. Several years later she met Assan Faride Dina, a part-Hindu part-French native of the then-British island of Mauritius (which lies off the southeast coast of Africa). He was an astronomer and engineer with an interest in Assyriology and occult metaphysics. 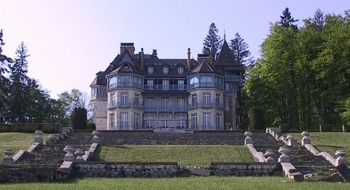 They married and together built Le Château des Avenières, which they decorated with sphinxes, mythological figures, grottos and underground pools with the symbol of Mercury. 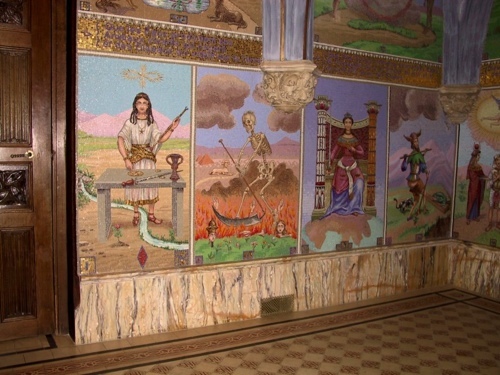 But, the most magnificent and mysterious room of all was the chapel, in which the walls were covered with mosaic tarot cards in the tradition of the Tarot de Marseille while blending in the occult mysteries of the Oswald Wirth Tarot. Take a journey through this magnificent occult chapel where you can view all 22 Major Arcana and read the stories of Mary Shillito and Assan Dina here. You may also want to visit the website of the Hotel Le Château des Avenières where you can schedule a stay and visit the chapel. Personally, I’m dreaming of the day when a tarot conference will take place there. Is anyone willing to off-set some of the costs of such a fabulous event? Let me know. I also found some mentions of the the Chapel here Schwaller de Lubicz by H. Dossier and Emmanuel Dufour-Kowalski. Wow, Mary, what an amazing place. It would be an awe inspiring place to have a tarot conference. Sign me up! Oh my gosh, what a wonderful place! A tarot conference in such a location would be a once-in-a-lifetime experience. Just give me plenty of notice so that I can clear my calender and start saving. I would love to visit such a place. The tarot is a temple. Mark – so do we have 3 sign-ups? Four, counting me. Mary, if you really decide to do this, I have no doubt you’ll be able to fill it! The love story of Mary Wallace Shillito and Assan Faride Dina also sounds like the stuff of Tarot! Surely there is more of a story to that as well. It is a very beautiful place. Have you actually been there? No, I haven’t been there yet, but it’s one of the places where I hope to go. 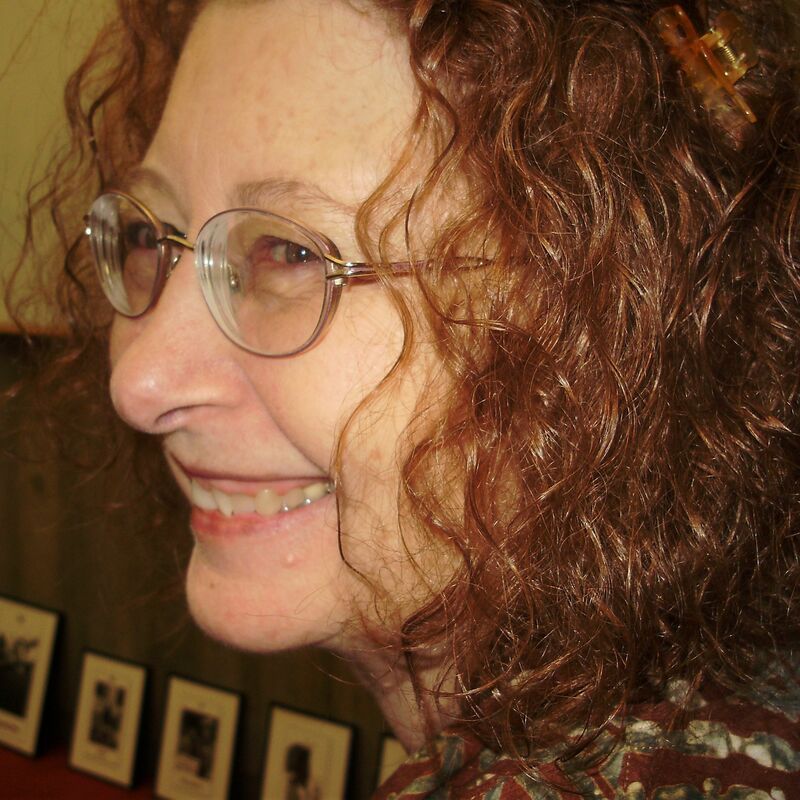 If you follow the link for the tarot chapel then you can continue reading about the people at that website. I’m very happy that you find nice the chapel with the Tarot of Assan Dina. I’m the author of the pages about Mary Shillito, Assan Dina. If you come in France to look at them, I hope to be with you. Just say it to me. Great to read your blog, thank you so much for all these posts. About a tarot-meet in Avenières, count me in! btw, did you manage to see Pixie’s art on O’Keeffe / Stieglitz exhibition? It’s currently in San Diego..
« The RWS Deck – where was it between 1939-1971?